Lots on at St Ives Arts Club this summer. A new comedy night opens today - The Dhynamo Show - starring local performer Dhyano with his bizarre, witty and surreal comedy. Special guests are also promised. Doors open at 8.00 pm and tickets are £6.00 - or £5.00 for club members. Available from St Ives VIC and Cafe Art. The show returns on Wednesdays 21st and 28th August. Imago Theatre - On The Terrace. Sounds interesting. Doors open at 7.00 pm and tickets are £6.00 - or £5.00 for club members. On the visual arts front - an exhibition of work by Kathryn Loveluck is open from 10.00 am to 4.00 pm daily until Saturday 17th August. Karen Taffinder and Archa Robinson are also exhibiting alongside Kathryn. This is followed by The Affordable Art Show - work in various media by Arts Club members at bargain prices. Open from 10.00 am to 4.00 pm from Sunday 18th - Saturday 31st August. 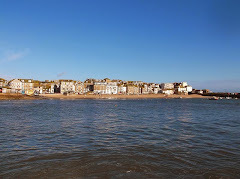 Looking further ahead - St Ives September Festival opens on Saturday 14th September - with events at the club every day. 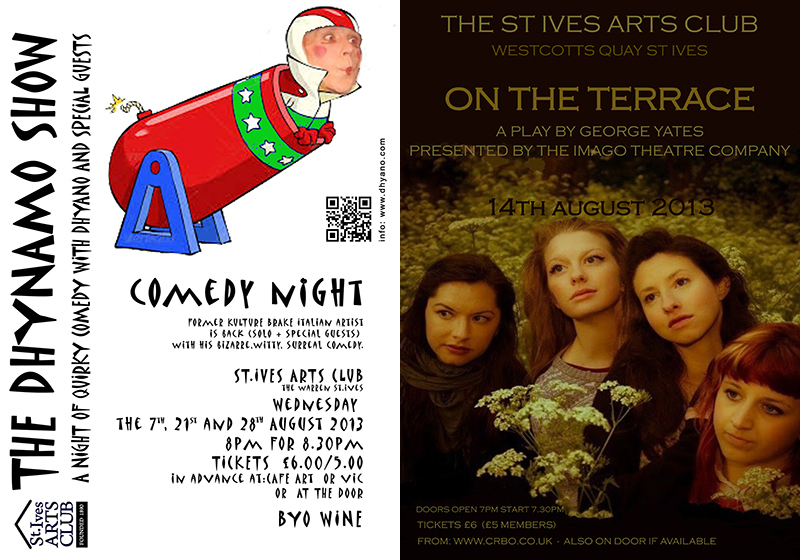 These include a members exhibition, lunchtime arts talks, live music, poetry, comedy, and a season of horror films. You can book tickets online via the Arts Club website.